Is there a better alternative to Arrivals & Departures? Is Arrivals & Departures really the best app in Travel category? Will Arrivals & Departures work good on macOS 10.13.4? Arrivals & Departures…If you are a frequent traveller, you are not a stranger to the Arrival & Departure TV Monitors at the airports. 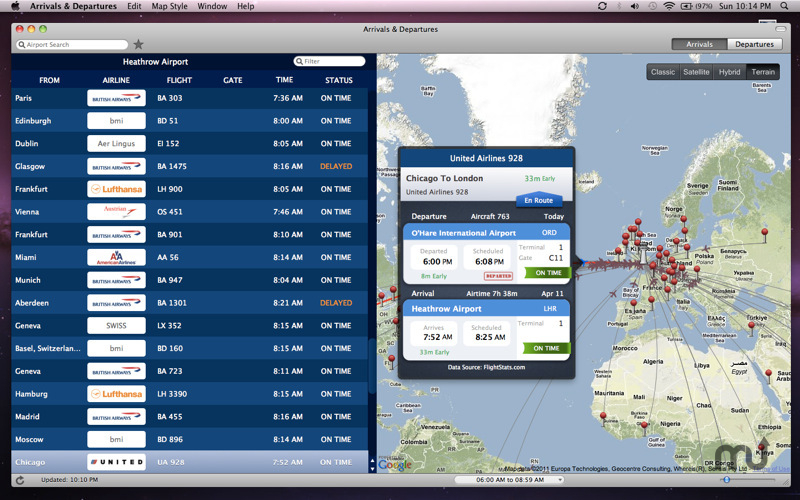 What if those monitors is right in front of you…for all airports worldwide, with interactive maps and more. That is the concept behind Arrivals & Departures app. Here are the key features of the app. Arrivals & Departures needs a rating. Be the first to rate this app and get the discussion started! This application needs Internet connectivity to display information.